Park in the Roberts Elementary School Parking Lot and on the right side of the lot is our 1850's one room schoolhouse. 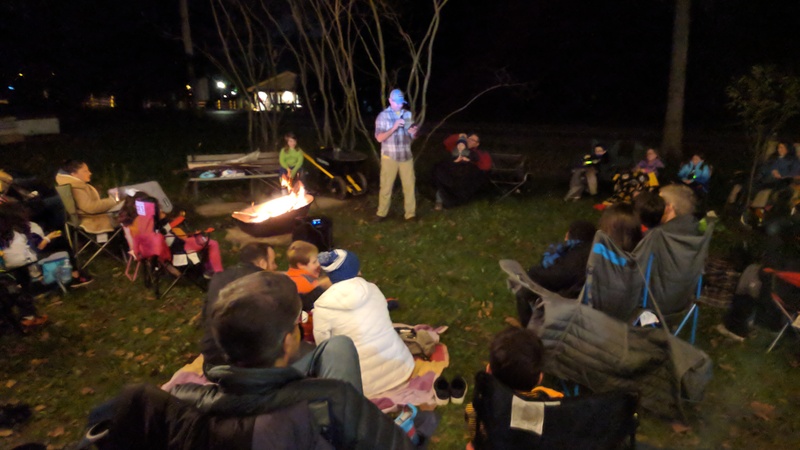 Bonfire, s'mores and smiles, same location as last year. 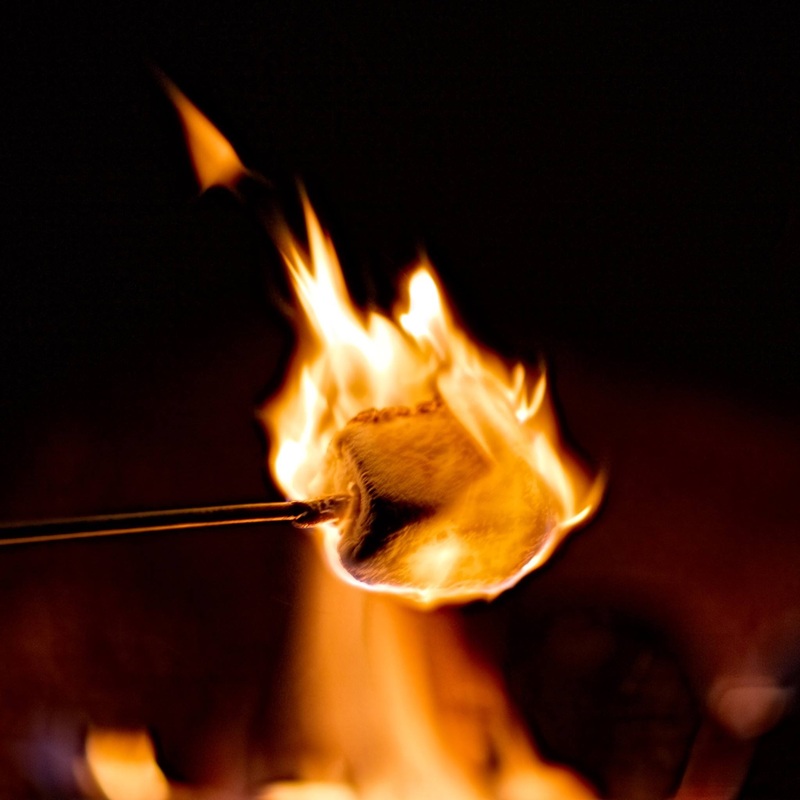 Roast marshmallows to golden gooey perfection and place between the chocolate and graham crackers all while listening to the storyteller by the stream in the woods. 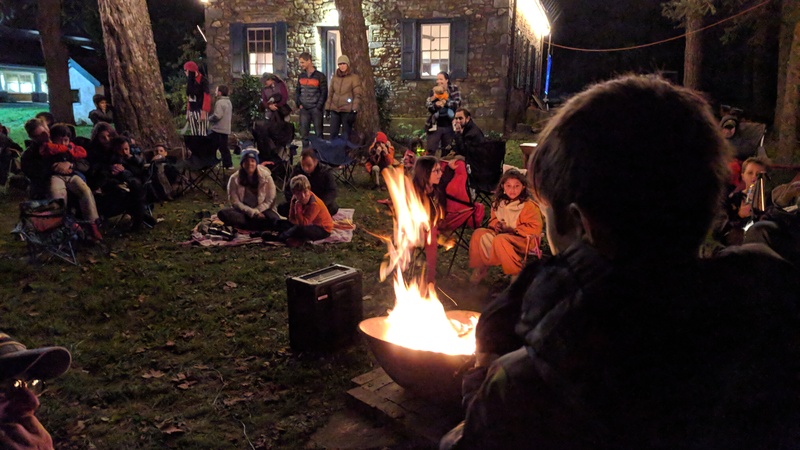 Storytellers and movies will enchant kids and adults with spooky seasonal tales weaving in local history. Open mic: we would enjoy hearing children and adults tell stories too! Plan to bring a flashlight and a beach chair. Note that there are no restrooms in the woods. $1 bottled water, $1 additional s'mores kit. Please wear appropriate clothing and footware, the event is rain or shine (your account will receive a credit if event is canceled due to wind). Bring smiles, flashlights and something to sit on. There will be a fire in a fire container and a "outdoor movie theater" at the event, last year became very crowded at it's peak, so personal safety is paramount. We will provide marshmallows, roasting sticks, chocolate and graham crackers along with wet wipes. 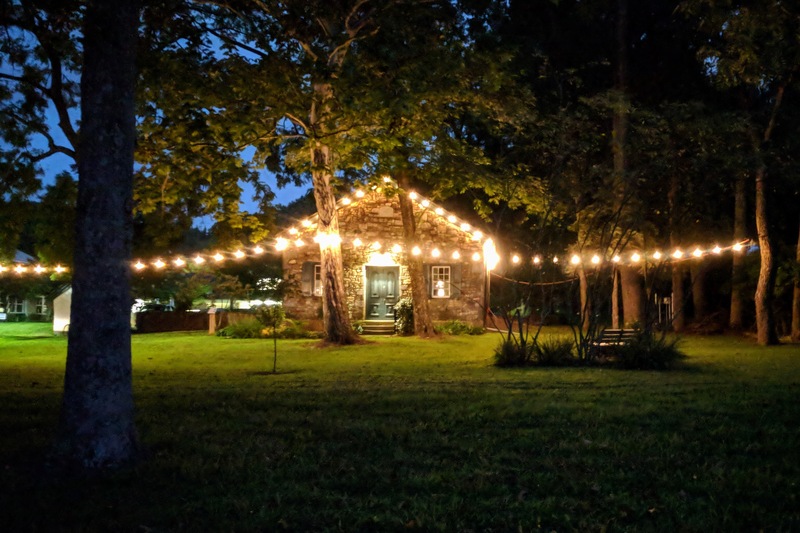 The entertainment will be spoken (and/or recorded) spooky stories along with the camaraderie and conversation with your fellow neighbors.